There are many famous people of Dorchester, this quiet market town, capital of the county of Dorset, seems to breed such folk. Some were born here, some lived here by choice. Most were Dorset born. For others it was they did or what happened to them in Dorchester. Please scroll on down there are so many wonderful folk of Dorset this page is long!!! As he was not considered strong enough for the family building business Thomas Hardy was apprenticed to John Hicks in an allied field as an architect. There are several churches in Dorset that were refurbished by John Hicks and Hardy had some input. He married first Emma Lavinia Gifford (1840-1912) in 1874. They lived in several places in both Dorset and London, Hardy however loved Dorset best so he designed Max Gate which his brother, Henry (1851-1928) built. 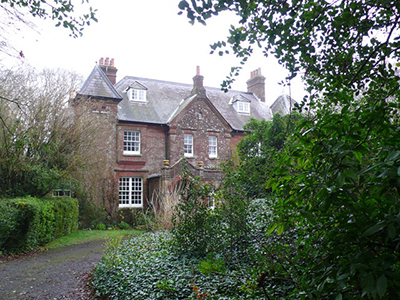 Max Gate was also left to the National Trust by Kate Hardy. Hardy's second wife was Florence Emily Dugdale (1879-1937) and they married in 1914. Thomas Hardy was famous both as an author and as a poet. His fictional stories are based in Dorset with Dorset type characters. Dorchester is Casterbridge. One of the most talented families that ever had connection with Dorchester, Dorset as a whole and for that matter the UK. They lived in Dorchester for about five years from 1880 to 1885 when the father of the family Reverend Charles Francis Powys, (1843-1923) born in Stalbridge, Dorset, was curate in the town. Reverend Powys went on to become vicar of Montecute in Somerset. Their mother was Mary Cowper Johnson (1849-1914) whose ancestor was the poet, William Cowper (1731–1800). It was this ancestry that the Powys siblings drew their creative talent, but it was not only creativity, one was a headmaster, another a farmer. Their parents were married in 1871 in Norfolk where their mother had lived. 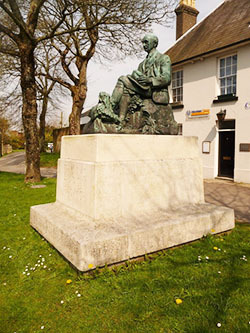 John Cowper Powys (1872–1963) born in Shirley, Derbyshire. Novelist. 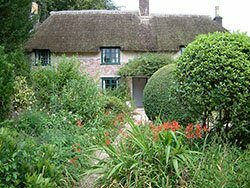 He was influenced by Wessex as was Thomas Hardy. "Maiden Castle" is set in Dorchester. The other Wessex novels were "Wolf Solent" based on Sherborne, "A Glastonbury Romance" and "Weymouth Sands". In 1896 he married Margaret Lyon and they had a son, Littleton Alfred. He lived in Dorchester again at 38 High Street, Dorchester, in 1934 and 35. Littleton Charles (1874-1955) a distinguished educator he was Headmaster of Sherborne Prep School 1905-1923 after teaching at other leading public schools. He wrote "The Joy of It" which was an autobiography. He was born in Shirley, Derbyshire. Theodore Francis (1875–1953) T.F. Powys, was a novelist and short story writer. He was born in Shirley, Derbyshire, lived from 1904 in Dorset and died in Mappowder. Married Violet Rosalie Dodds in 1905. He is best known for his allegorical novel "Mr Weston's Good Wine". Eleanor (1879-1893) Born in Shirley, Derbyshire. She died in Montacute age 13 of peritonitis. Had she lived she too would have been a painter. Albert Reginald Powys (1881- 1936) was actually born in Dorchester. Married Dorothy Mary Powys in 1905. He was secretary of the Society for the Protection of Ancient Buildings. Albert published a number of books on architectural subjects. He died in Surrey. Emily Marian Powys Actually born in Dorchester in 1882. She studied lace at the Yeovil School of Art and travelled on the Continent. In 1913 Marian moved to New York to join her brother, John. She did office work while she continued to study lace. In 1915 one of the laces she designed won a gold medal at the United States Panama-Pacific International Exhibition in San Francisco. Marian opened a lace shop where her own lace was very popular with leading figures of the day. She became an important authority on lace, lace-making and antique lace. She published a book "Lace and Lace Making", the work on the subject of lace. She died in 1972 in New York. She had a son Peter Powys Grey. Llewelyn (1884–1939) A novelist and essayist. Was actually born in Dorchester while his father was curate. Was not the strongest of the family he contracted TB in America, not as easy to cure as it is today. Not surprisingly he lived in Switzerland for a while. He spent WWI in Kenya with his brother William who farming there. After the war he went back to America to work as a journalist. There he married the novelist Alyse Gregory. They came back to Dorset, but travelled widely. He died in Switzerland. Catharine Edith Philippa (1886-1963) a novelist, born in Montecute, and later lived in a farmhouse on the Dorset coast with her sister Gertrude. Llewelyn and his wife came to live next door and their brother Theodore lived in the area as well. She died in Buckland Newton. She was not as famous as her brothers, but she had not had their education. Her early works were not published, but she succeeded in publishing "Driftwood" a collection of poems and "The Blackthorn Winter" a novel. Her journal is being edited and should it be published will be a picture of life in Dorset in that era. Gertrude Mary (1887-1952) Born in Montecute. She was a talented painter, but her duty to her family came first and she never really had the opportunity to make as much of her art as she could have done. She attended the Slade School of Art to study painting, then went off to Paris to the ‘Academie de La Grande Chaumière’ in Montparnasse. Gertrude never married, but lived with her sister Catharine. Her paintings can be found in Dorchester Museum. 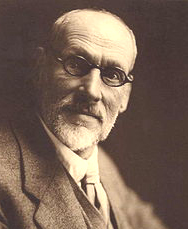 William Ernest Born in Montacute in 1888. Was a farmer in Somerset then farmed in Gilgil, Kenya. Lucy Amelia Was born in Montecute in 1890. She was the youngest of the family. She married Rowland George Hounsell Penny in 1911 and lived in Hampshire. Her husband died in 1945 and she returned to Dorset in 1950. 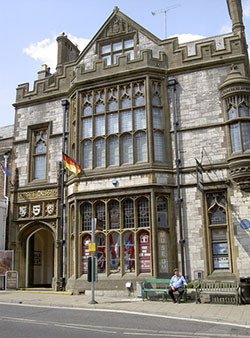 Dorchester Museum has an excellent collection of works and material for the Powys family. To view please contact the museum. The Powys Society This family has left a legacy to the world and the Powys Society reflects this. For those, whether they are academics or those that just appreciate the work of this talented family. All are welcome to join. He was born in Stanton St John, Oxfordshire. 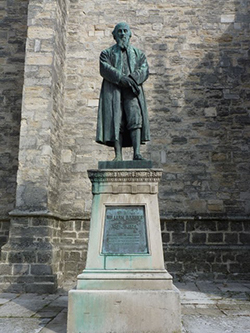 It was his energy and foresight that brought together the 150 brave souls, men, women and children, who sailed from Plymouth in 1630 to found Dorchester and later Windsor in Massachusetts. Rev White was Rector of the Parish of St Peter and Holy Trinity in Dorchester and is buried in the Church porch. There is a plaque to his memory there which describes a very able and kindly man. The Bloody Assizes is famous in English History. He was the presiding judge of the trial of the folk in the Monmouth Rebellion and handed out very severe penalties, not only in Dorchester, but in other parts of Wessex. 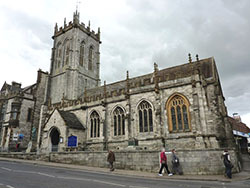 Most of the trials were centred around Taunton, but one court was held in Dorchester. Jefferies was lodging in No 6 High West Street and the court was in the Antelope Hotel. There was a secret passage between his rooms and the court!! Jefferies was hated. That passage has since been rediscovered and is quite a wide one. One wonders when it was built and for what reason in the first place. His lodgings are now a restaurant and his courtroom is now a tea room. So visiting it is simple. Tasty too!! William Barnes was a son of Dorset, a headmaster, a poet, writer, philiogist and a minister. He became well known for his poetry some in the Dorset dialect. His understanding of the ordinary Dorset person comes out strongly in a gentle and kindly way as was the man himself. He was born in Rushay the son of a farming family and went to school in Sturminster Newton. He received a degree from Cambridge University. Nowadays we would call him a lifelong learner for he studied widely throughout his life. On 9 July 1827 he married Julia Miles. By then he was already writing and publishing. He was during his lifetime a Headmaster of a school in Mere, another in Dorchester. He was a Minister until his death. It is however his writing that was his lifelong passion and the legacy he left to the world. The beginnings of the Trade Union Movement really. Life was bad in Tolpuddle farmworkers wages were being cut and folk were close to starving. They tried breaking the threshing machines that were taking their jobs, but severe punishment followed. What to do? In 1832 six of the folk of Tolpuddle formed a friendly society "The Friendly Society of Agricultural Labourers" in an attempt to form a bond between the workers. It was a friendly society, like others at that time and gave benefits as they do, but their was an element of the early trade unions about those friendly societies. That was got them into trouble, for these folk swore an oath to each other which was against the law. James Frampton made a complaint about them to the then Prime Minister, Lord Melbourne, and the Loveless brothers, George and James, the former's brother in law, Thomas Standfield, his son John Standfield, James Brine and James Hammett were sent to trial at Dorchester, in 1834, found guilty and transported to Australia on a sentence of seven years. Not many folk ever came back from transportation, Australia was the other side of the world, when transportees sentences were finished they settled in Australia. The Tolpuddle Martyrs did! There was an uproar, signatures were collected, protests were made, and they were brought home in 1836 with the exception of James Hammet who had been in trouble before. Even he came home the following year. What happened to them? Well James Hammet did not do so well, he died in the Workhouse in 1891, another connection with Dorchester. His memorial can be found in Tolpuddle Cemetery. The others emigrated to Canada. 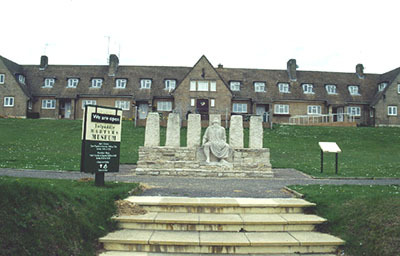 Tolpuddle Martyrs Museum is a mass of information regarding these people and their heritage. A famous Australian painter born in Dorchester. Tom Roberts work is both landscape and portrait and regarded as one of the most influential painters in Australia. His landscapes were naturalistic and full of understanding of his subject. He painted portraits of politicians and other important figures. His "Opening of the First Parliament of the Commonwealth of Australia by H.R.H. The Duke of Cornwall and York" (who was later King George V) hangs in Parliament House in Canberra. He was an influential figure in the Heidelberg School of Painting, sometimes called Australian Impressionists. (Heidelberg is near Melbourne in Australia not the town in south west Germany.) He studied in both Australia and in England having been selected for the Royal Academy of Arts, the first major Australian artist to have done so. It was a trip to Spain after this experience that determined his future. He was there influenced by the impressionists and the plein air (plain air) principles. He returned to Melbourne and started a plein air school of painting. His own work is a legend in Australia, though more appreciated after his death as is often the case. He married first Elizabeth Williamson in 1896 and they had a son Caleb who became influential in his own way. He was a highway engineer and had a seriously significant impact on road development in Victoria. Elizabeth died in early 1928 and Tom Roberts married his wife's friend Jean Boys. Tom himself died in 1931 of cancer at his home in Kallista, Victoria. He was cremated. Thomas William Roberts boyhood was spent in Dorchester and he went to the Grammar School there. The 1861 census shows the family living in the town, Tom as a 5 year old scholar, born there. His father, Richard Roberts aged 33 a sub editor and newspaper reporter, born in Shrewsbury, Shropshire. His mother was Matilda Roberts, aged 32, born in London, Middlesex. Tom had a little sister, Alice, aged 1, also born in the town. They were living at 35, High Street, Fordington, Dorchester when the census was taken. Not unusally for the time they had an 11 year old domestic servant, Mary Wills, born in Chelborough, Dorset. Richard Roberts died in 1869 and Matilda took the family to Collingwood in Melbourne, Australia where she had family. It was that decision that gave Australia one of her greatest artists. Peter Wilson was born in Dorchester in 1986, so the tradition of famous people of Dorchester continues into the modern day. He is famous as an English Sports Shooter specialising in Double Trap. He has both the World Record and is an Olympic Gold Medal Winner in this field, London 2012. He has his eye on Rio in 2016. Good Luck, Peter. His MBE is for services to shooting and was presented in 2013. He still lives in Dorset. Highly successful men's T36 Para Olympian, Paul was born in Dorchester in 1990. 2016 Rio Para Olympics. Winner of Team GB's Gold Medal in the men's 400m. Silver Medal in the 800m. 2012 London Para Olympics. Silver Medal 400m, Bronze 800m. 2015 Doha - Gold 800m, Silver 400m. 2011 Christchurch - Gold 400m, Silver 800m, Silver 1500m. 2014 Swansea - Silver 400m, Bronze 100m. 2012 Stadskanaal - Silver 400m, Bronze 800m.